Virtual reality, augmented reality and 360 video are often talked about by the media as synonyms, but actually they are three very different experiences. 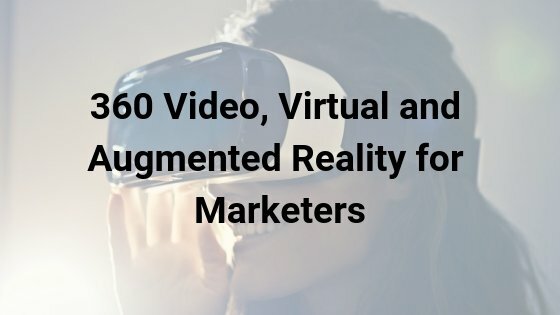 Both YouTube and Facebook now support posting 360 video content and some brands started advertising with this format. Which industries would benefit most? Some industries which could largely benefit from VR are real estate, tourism and entertainment. Experiencing and buying property for international investors could become less time consuming with virtual reality. People would also love to experience locations before booking a trip, or buy a VR experience for an expensive concert instead of attending. What is the difference between 360 video and VR? These are two very different experiences. Even though to experience them you are likely to need a headset, there are major differences. A 360 video allows the user to experience a 360 degrees closed environment, but they cannot interact with it. They can scroll, tilt their mobile phone, use the mouse to explore the “sphere” they are in, but it is limited. 360 video do not require a headset, although it can enhance the experience. Virtual Reality is a whole new world, which is limitless. The user can interact – pick up objects, open and close doors, move around as long as the software allows them. To experience virtual reality you need a headset. They can vary from very simple Google Cardboard, to which you attach a smartphone, to a sophisticated headset with accessories like gloves to interact with the reality. Virtual reality headsets are still not recommended to use for longer than 30 minutes and can cause headaches and eye problems if used too long. And what is augmented reality? AR is a technology which imposes a computer-generated image on a user’s view of the real world, thus providing a composite view. 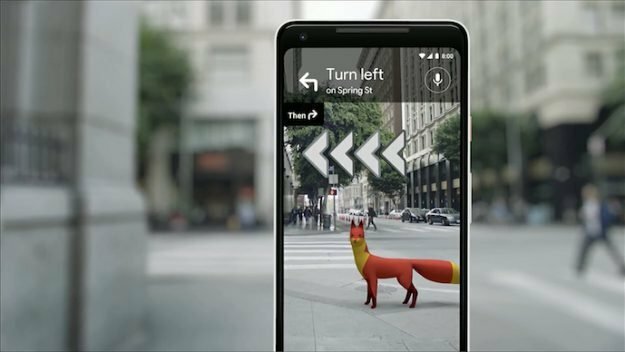 For example, the little fox which is leading you through the streets on Google Maps. Or some examples of Facebook ads by Nike which mix a real view from your camera with a 3D object. To summarise – a 360 video is viewing a an area around – you can watch but no touching, VR is experiencing a full living and breathing world with the ability to interact and AR is like strange dream or hallucination which mix reality with … something else. So far there are mixed feelings about these technologies. A recent study by Google showed that counties which believe VR will become part of our daily life the most are Nigeria, India and Brazil. Western Europe and North America seem to be much more sceptical, which might have to do with the fact that they have been exposed to these technologies longer in comparison. What does all this mean for advertising? So far the format which is becoming widely available for advertising is the 360 videos. The fact that users do not need headsets to experience the ad makes it easier to implement them. 360 video ads are now available on Facebook and YouTube and results are showing they do have better engagement rate compared to traditional video format. What do I need to create a 360 video? You can easily shoot 360 video with a special camera. Prices start from $120 for beginners to more than $3000 for an ultra-high definition camera. You can also outsource the shoot to a company which does this professionally and has all the equipment ready. You start by uploading your 360 video to YouTube. To avoid mixing your results from the ad with organic views, you can publish it as “unlisted”. In this way it would not be discovered by anyone, who has not been exposed to the ad. Then you can start by creating a Video campaign with In-stream ads. These are the skippable pre-roll ads which appear before during or at the end of a video on YouTube. During the first experiments 360 Video ads did not perform better compared to standard video on a view-through rate. This means that the fact they were 360 videos did not make users watch them for longer than 30 seconds. However they saw much higher interaction – scrolling, tilting the phone to experience the view. Also they saw traffic coming from sources like WhatsApp and IOS messenger which means users were often sharing the link with their friends. This is not very common with standard video ads on YouTube. When it comes to Facebook the shift to video advertising has been present for the last couple of years with 360 ads an important part of it. To get started you can create a Facebook ad campaign and in the section where you choose your media, upload your 360 video. Then thick the box that this is actually a 360 video. This would enable some more controls in the video – for example the field of view. If you click “enable guide” you can add points of interest within the video. Here the whole workflow. You also get heat maps of insight showing you which parts of the video users found most interesting and spent time scrolling. You can easily run your video as a promoted post or in a dedicated campaign like any other video material. When it comes to Virtual Reality and Augmented Reality advertising these are still in exploration mode. Big brands have been played with betas on both Facebook and YouTube, but gradually these would become available to more advertisers. These new formats change the way creators think about video content, as it puts the viewer in control. For marketers this means more creative ways to engage and interact with their audience, but also a challenge to adapt narratives to new formats. This entry was posted in Branding, Display and tagged 360 video, augmented reality, Facebook, video marketing, virtual reality, youtube.